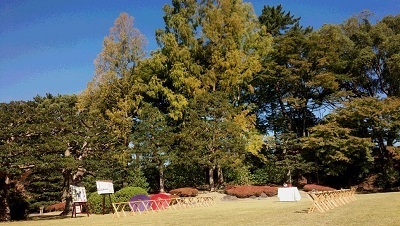 We held a bridal fair at the world heritage, Nijo Castle under the Autumn blue sky. We would like to thank for those who joined the event. The acceptance of the application for the wedding at Nijo Castle in 2016 has started. 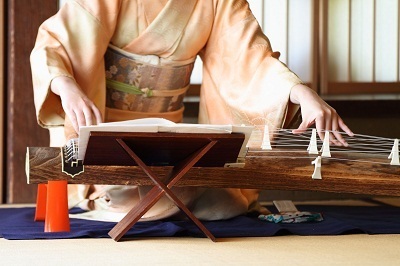 During the wedding ceremony, guests will be welcomed by Gagaku (ancient imperial court music and dances) and Koto (Japanese harp) music. At “Koun-tei (Tea-house)”, tables and chairs are in use for the comfort of the guests. A nonreligious wedding ceremony at the World Heritage Site with Japanese hospitality. It will be an unforgettable day for the couple, parents and other guests. For the details, please visit below.